With the snow falling on my hometown of Montreal, I can proudly say that winter is finally here. Most people despise it, but I crave winter. Granted, during summer you’re pretty much out of school, so you have more time to enjoy the weather. But when it starts to get really cold, and really snowy, and therefore really icy, I love it. One of the main reasons? Outdoor ice hockey, commonly referred to as shinny. It’s played with no equipment, except skates and sticks (and occasionally gauntlets and helmets.) As many people as possible can play, and it’s a skating/passing game, instead of the hitting/shooting game of real ice hockey. Every single year I wait for the moment I could step onto the ice at Hampstead Park, and the first snowfall is usually a good early sign, something to keep me optimistic. I’ve loved winter for as long as I can remember, and one of the big reasons was my father. Every year, on the first snowfall, he would come into the house with the first snowball of the season, jokingly throw it at me, and then put it in the freezer for safekeeping. We would then go outside and throw a few snowballs at each other, or at passing people and cars. Since I can no longer do that with him, I’ve gone the past few years and continued the tradition as a tribute to my father. On a lighter note, I really am excited that winter is here. The past few years it hasn’t really snowed in October at all, and sometimes not even November. I usually can’t play shinny untill winter vacation starts, but hopefully that’ll come a bit earlier this year. Some people don’t seem to like winter but I don’t understand why. Sure it’s wet, freezing, and dark, but so are fudgsicles, and those are amazing. (That might’ve been the worst analogy of all time and I apologize.) Anyways I wrote this post pretty much only to express how happy I am that winter is here, and I guess I’ve done that, so I guess that’s it for now. I haven’t had much time to work on the Electoral update post, and I’m about halfway done. I’ll post it up the second it’s complete, so tay patient and keep checking back. 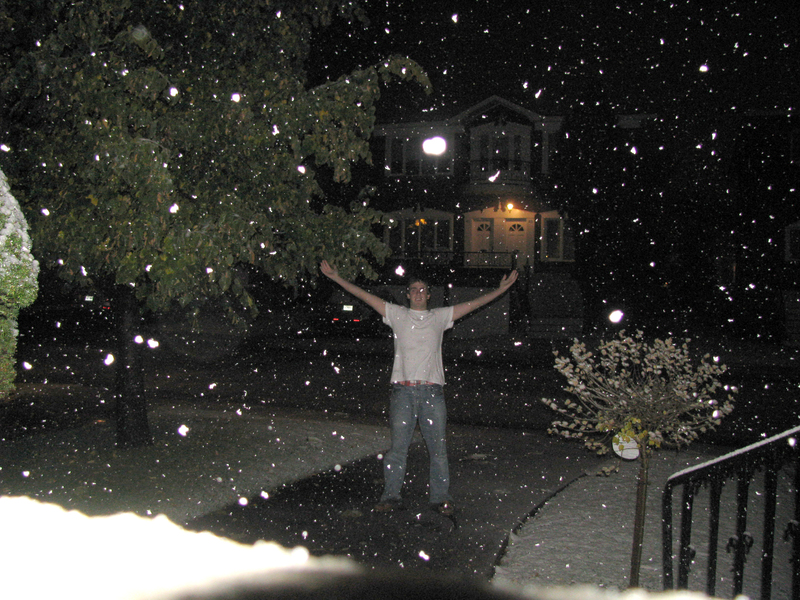 This entry was posted on October 29, 2008 at 12:03 am and is filed under Other with tags Winter. You can follow any responses to this entry through the RSS 2.0 feed. You can leave a response, or trackback from your own site. i couldnt have said it better myself! so happy winters here!! !